Humans have pushed atmospheric carbon dioxide to heights in our short (geologically speaking) existence. But give us another few generations, and our geologic impact on the planet will be clear. New findings released on Wednesday show that at current emission rates, we are just five generations away from creating an atmosphere of which has not been seen in 56 million years. The last time carbon dioxide levels were as high as we were headed for, it helped create one of the greatest offs in recent Earth history. The Paleocene-Eocene Thermal Maximum (PETM) is a period of planetary history as ominous as it sounds. Scientists have studied it for years, looking at carbon isotopes, fossils, and other clues buried in the Earth. Their findings show that carbon dioxide spiked rapidly, causing Earth to warm 5-8 degrees Celsius (9-14.4 degrees Fahrenheit). The tropical Atlantic was likely to be 36 degrees Celsius (96.8 degrees Fahrenheit), up to half of the microscopic foraminifera, which contained the seas, animals on land or shrunk, and it took 150,000 years for Earth to recover from the shock. It's not a dream climate and yet it seems to be the closest analog to what humans are doing to the climate today. The new research, published in Geophysical Research Letters, shows just how close we are to reaching the extremes of the PETM and in some ways, how we've already surpassed it. 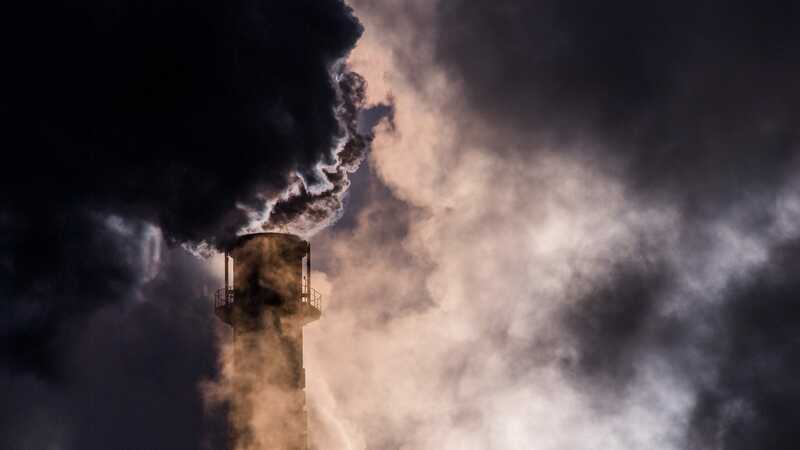 Drawing on a study of when the PETM started and how solid carbon dioxide piled up in the atmosphere, Philip Gingerich, an emeritus professor at the University of Michigan's earth science department, used models to project human carbon emissions into the future. While the PETM pulse or carbon dioxide was rapid in geological terms, the pales in comparison to what humans are doing to the atmosphere. Modern rates of emissions are up to 10 times faster than the PETM But whereas PETM emissions were most likely the result of a mix of volcanism, wildfires, and methane seeping out of permafrost and the seafloor, the current situation is almost entirely due to carbon emissions from human activity. And those emissions still climbing, with the world setting new high water for carbon pollution last year. Based on that trend, Gingerich projected into the future and found that just 140 years ago, current rates, have created the beginning of PETM atmosphere v2.0. At 259 years down the road, we're hit peak PETM. This is a distinctly worst case scenario, which makes it seem unlikely to get to that point. And we have been living that scenario out since carbon dioxide record keeping began in earnest in 1959, the start date used for calculating future trends. "[It’s] as if we are deliberately and efficiently manufacturing carbon for emission to the atmosphere at a rate that will soon be comparable to major events long ago in earth history, "he told Earther. As the study helpfully notes, Gingerich's grandfather was born 140 years ago, while 259 years in past, Ben Franklin was inventing a clock with hours, minutes, and seconds hands. While the world has shown little appetite to wind down emissions, there has been a lot of talk of how we should, you know, probably do it sooner than later. The new findings are a strong reminder of what is waiting for our grandkids if it doesn't.